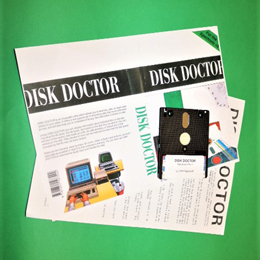 Excellent utility which allows you to examine, change and repair Spectrum +3 disks. These are pre-packaging copies from a 1980's computer store - there is no commercial packaging, just the disks and instructions. I use this program myself extensively. Can fix corrupted disks and files, un-erase files deleted in error, format disks which cannot be formatted from +3 BASIC (No Data error on track 0), edit files and much more. Tested on an Issue 1 and Issue 2 Spectrum +3.